Evan Turner serves up $30 all-you-can-eat Greek crawfish boil at Nosh Bistro. 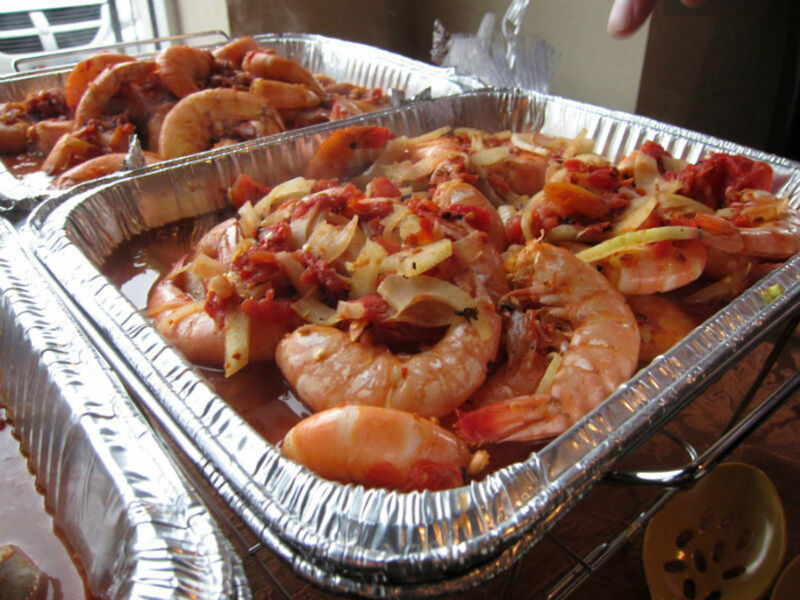 Evan Turner served shrimp cooked the same way as his Greek crawfish - in plenty of ouzo, white wine, garlic, fennel, tomatoes and more - at a Greek wine tasting he hosted last year. Cajuns (and, increasingly, Houstonians) may like to think they're the world's biggest connoisseurs of crawfish. Not so, however. 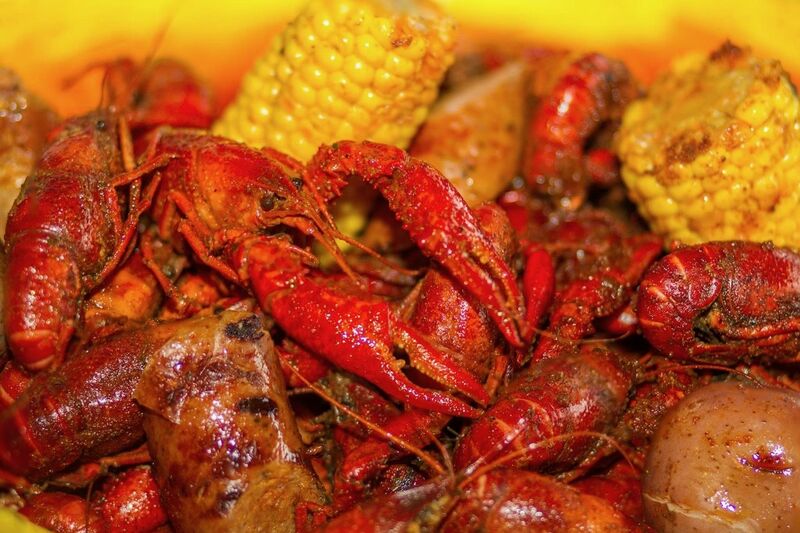 Crawfish are eaten across the world, and other cultures consume the mudbugs in their own unique ways. Nigerians refer to crawfish as their "curvy Nigerian lady." The crustaceans are smoked and ground into one of the country's most iconic and important spices. In Sweden, crawfish are boiled in saltwater and dill, then served cold at alcohol-soaked feasts called kräftskivas. They even boil crawfish in Greece. Although, as Greek food and wine expert Evan Turner is quick to point out, "it's technically not a boil." "When Greeks cook crawfish in Greece, it's not in this big pot with liquid and vegetables and seasonings," Turner explained. 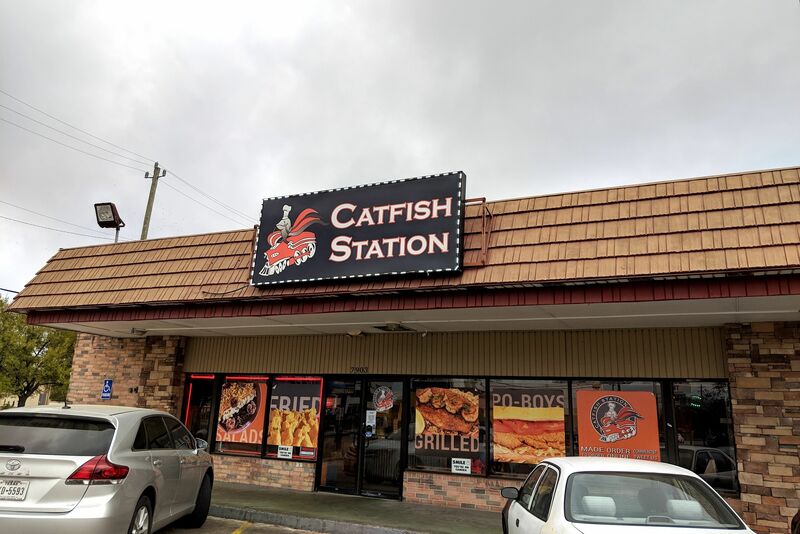 "In northwestern Greece, where you see crawfish cooked and consumed, they tend to cook them in less liquid: braising them, sauteeing them, tossing them in chile sauce." In addition to being a passionate advocate for Greek cuisine, Turner is also the sommelier at Nosh Bistro. Although the chic Upper Kirby bistro normally serves fusion South Asian cuisine, Nosh is letting Turner take over this coming Sunday night, when he'll be serving an all-you-can-eat Greek crawfish feast for $30. Did we mention that it's all-you-can-drink, too? This is important, as Greek crawfish can be a smidge piquant. Turner cooks his Greek crawfish the traditional way: with fennel, tomatoes, smoked paprika, fresh herbs, white wine, garlic, ouzo, and chile flakes. "It's not nearly as hot as your classic Louisiana crawfish," Turner admitted, "but it ends up being wonderfully flavorful and aromatic." In a tip of the hat to Cajun boils, there will be potatoes, but done the Greek way: roasted in olive oil and lemon. Turner: sommelier by trade, connoisseur of Greek wine and cuisine. "I'm also going to make a really great horiatiki salata, or Greek village salad," said Turner, "which only includes tomatoes, cucumbers, red onion, Kalamata olives, feta cheese, red wine vinegar, and olive oil." He added with a laugh: "Never any lettuce. Never any lettuce in a Greek salad. It's wrong; it's not what's done." 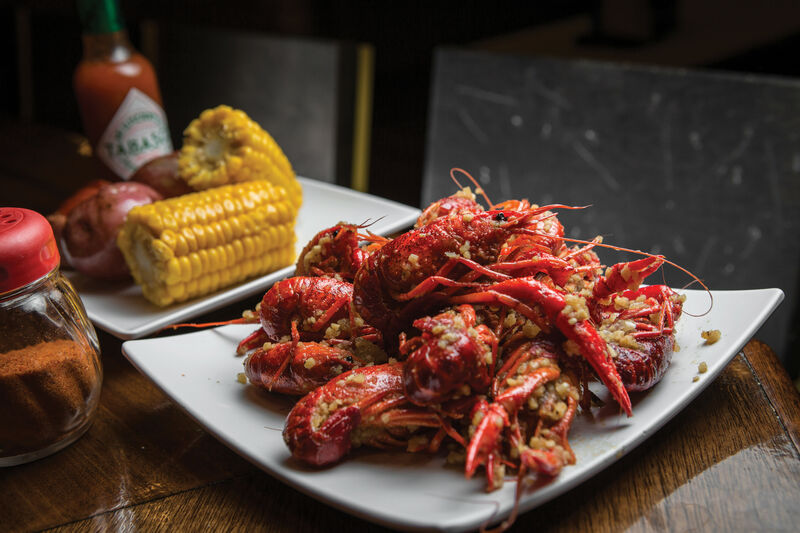 In addition to plenty of Greek wine and Lone Star beer, Turner is excited about another rare Greek treat to go along with a style of crawfish that's never been seen in Houston. "We're also going to have a wonderful, brand-new wine from Crete that's never been available before here in Texas." But what exactly does Cretan wine taste like? Turner elaborated: "It's a lot like if something from Alsace had a baby with a Sauvignon Blanc from New Zealand. It's got a nice, acidic, long finish. You get white flowers and lots of perfumey, peachy notes on the nose, but the palate is more Granny Smith apple and Texas grapefruit and lime." 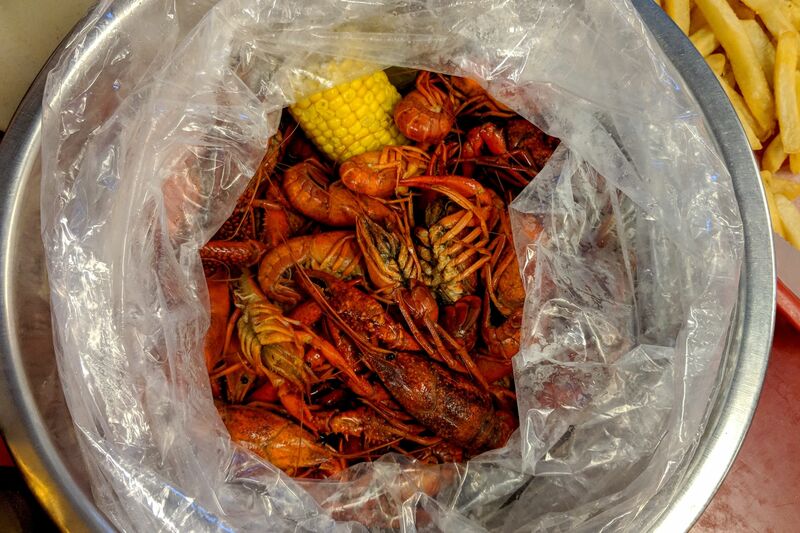 The crawfish boil kicks off this Sunday, June 9, at 3 p.m. and runs until the food and wine are gone, which Turner estimates will be around 7 or 8 p.m. But the crawfish "boil" isn't the last you'll see of Turner's Greek pop-ups. "I'm going to try to actually do a lamb roast some time later on this summer," he said, and Turner is also looking forward to hosting a "real gyro" night. "Real gyro from Thessaloniki is actually made from pork," Turner explained. "A shoulder or leg or a combination of the two, which you then marinate in spices, vinegar, and oil. It's hand-packed onto a stick and served." "You're also cooking french fries on the side and you roll them up in the pita with the gyro and tzatziki sauce. It's like the most awesome Happy Meal ever."